There hasn’t been a call for “All Hands On Deck!”—but if we start seeing an influx of St. Cloud homes for sale ahead of this spring’s peak selling season, it’s not hard to guess why. 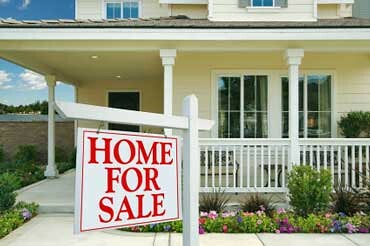 There may not have been any conspicuous heads-up for homeowners, but thoughtful deductions based on the news might prompt just such an effect. At point is the possibility of a coming “double squeeze” for homeowners on the move. If it happens, there could be a decrease in the total number of St. Cloud homes for sale because of what sellers face after they have given up their current residence. The steady flow of good news about the national economy has clearly been the main culprit. Last week’s release of the Federal Reserve’s minutes from last month’s meeting revealed the Governors’ recognition of stronger growth than had been forecast. Per CNBC, that news “confirmed that a gradual increase in the Fed Funds rate would be appropriate...” MarketWatch agreed that the Fed was “on track for 3 rate hikes” this year—but placed a strategic question market about the possibility of 4. When the experts’ only uncertainty is whether there will be a fourth rate hike this year, the likelihood that St. Cloud homeowners could face a double squeeze becomes hard to ignore. A double squeeze forms when sellers’ St. Cloud homes for sale draw fewer eligible buyers qualified to pay the higher mortgage payments. They will sell eventually, but then face the second part of the squeeze, when they, too, face stiffer terms for any new home’s mortgage payments. If St. Cloud homeowners haven’t heard much about this phenomenon, my guess is that it’s because we’ve been swaddled in such a comfy interest rate cocoon for so long, the whole issue has migrated to the back pages. By some calculations, today’s typical mortgage payments are more than 36% lower than the all-time high reached in 2006. Yet if prognostications prove to be correct, the reality for St. Cloud homeowners with a hankering to move on is that when it comes to the bottom line, now is absolutely the best time to act—with later being next best, and still later next best after that—and so on. In any case, it should certainly be worthwhile to discuss possible courses of action. I’ll be here by the phone, ready to chat!